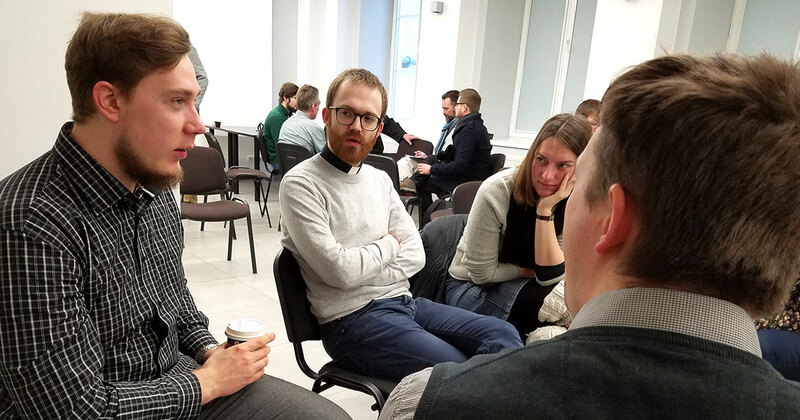 Group discussion at The Evangelical Lutheran Church of Lithuania in Vilnius, Feb. 2018. 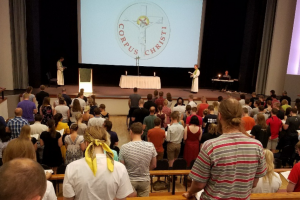 This year, the group represented Norway, Finland, Sweden, Lithuania, Germany, England, Bulgaria, Romania, Ukraine, Czech Republic, and a few Americans who live or study in Europe. 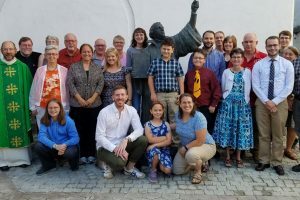 Most of the attendees study theology at seminaries or universities, are passionate about Christ, and plan to pursue careers as pastors, missionaries or teachers. 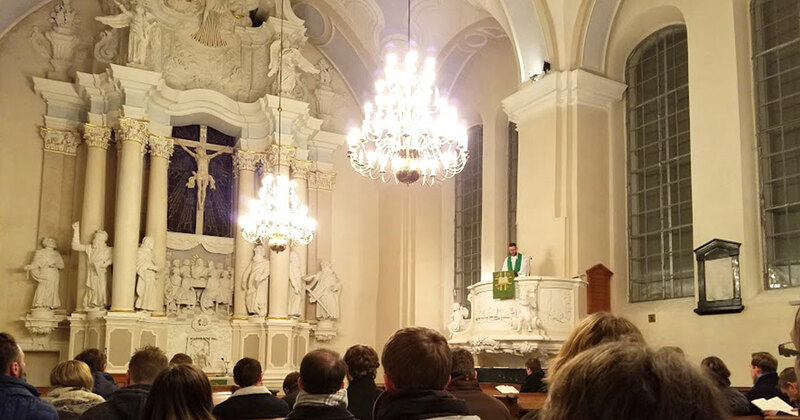 Evening Vespers at Evangelical Lutheran Church of Lithuania in Vilnius. NYLT provides the perfect opportunity to do that. Topics were emailed ahead of time to participants, brief lectures introduced discussion items, and participants then met in small groups to discuss each topic from their country’s perspective. Each group then shared their key points with the larger group. Fellowship and discussion continued after the group meetings, through meals, and well into the evenings. Max Schuller, a German seminary student from Oberursel said, “It’s a good thing to continue fellowship over a meal and after.” Many participants also met in local coffee shops between sessions to continue the dialogue.